Maurice Andrew Wright of Clearwater, British Columbia passed away peacefully at Forest View Place on Monday April 10, 2017 at the age of 99 years. He was predeceased by his wife Alma in 2003, and by nine of his ten siblings. He is survived by his son Lorne (Joanne) of Clearwater, BC, daughter Donna (Charles) Cox of Port Alberni, grandchildren Donald (Karen), Peter, Karen (Alex), Brian and Eric (Alicia), great grandchildren, Isaac, Taylor, Morgan, Gabrielle and Pyrrah. Maurice will also be missed by his remaining sibling, sister, Esta Sweatman of Kelliher, Saskatchewan. Maurice was born the 5th child of George and Mary Wright, in the farming community of Kelliher, Saskatchewan on March 20, 1918 and lived there until he moved with his sister to Kelowna, BC as an adult. He completed training in the RCMP but signed up for the RCAF training as an Aero Engineer Mechanic at the beginning of WW2. He served in Coal Harbour on northern Vancouver Island. Maurice and Alma were married in 1943 and after the war they returned to Kelowna. In 1951 they moved to Silverton where he worked as a carpenter for the mining industry and local residents of the area. In 1963 he became a maintenance man for the Nelson School District, retiring in 1983. In 2001 Maurice and Alma moved to Clearwater and into Evergreen Acres. 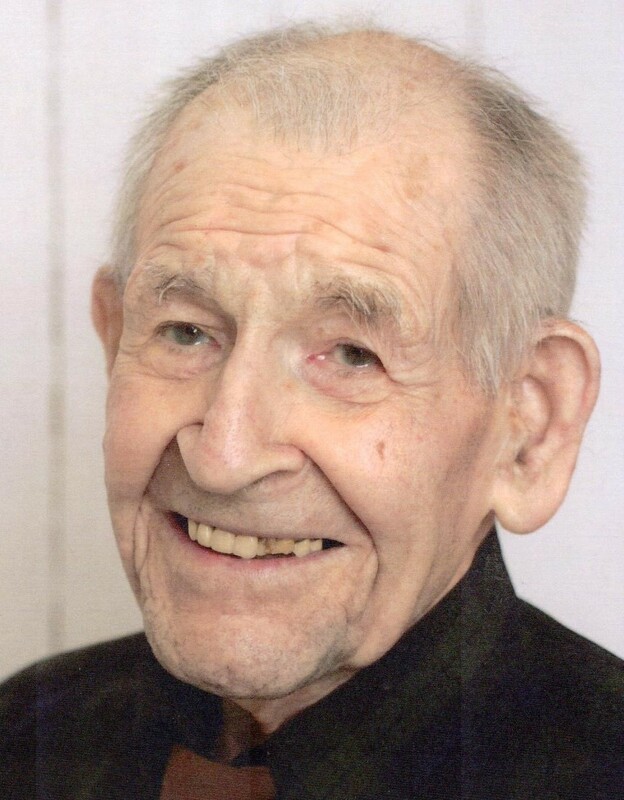 Throughout his adult life, Maurice was active in the community affairs of Silverton, the Royal Canadian Legion where he is a life member, and the United Church of Canada. He continued with his love of carpentry by renovating homes and building furniture and other items for friends and family. In Silverton he loved to fish and pick berries and picnic with family and friends. In Clearwater he continued his memberships in the Legion and Church and enjoyed working on puzzles and sharing stories with other residents of Evergreen Acres. Maurice lived independently at Evergreen Acres with the help and support of Home Care and family, up to two months before his death and was happy and grateful for the full time support he received from the staff at Forest View Place through those last two months. No Service is planned, by request. An informal friendship tea was held at Evergreen Acres, on Tuesday, April 18, 2017 at 2:00 p.m.
Funeral Arrangements were entrusted to Drake Cremation and Funeral Services, Clearwater, BC.